Damaged mobile shred truck wrapped for transport. [dropcap size=”300%” bgcolor=”theme”]S[/dropcap]ometimes in the document destruction industry bad things happen. Catastrophic accidents occur in nearly every mobile shredding company in the business. In this case a mobile shredding truck collided with a low-hanging tree branch. The collision mainly impacted the lift tunnel on the passenger’s side. The damage to the van body was considerable, wracking its entire body. The body alone was totaled. Contrary to popular opinion there may be considerable value still remaining in the shredding components even in a highly damaged mobile shredder. An excellent option is to capitalize on the investment and have the vehicle restored. Shred truck owners could save thousands over the cost of new with this option. At ShredSupply, we frankly work miracles on wrecked shredder trucks. They could be damaged by trees, bridges, tip-overs or even fires. We’ve seen a lot of them, most with considerable damage. We take totaled van bodies and rebuild them to better than factory specifications. Part of the ShredSupply process involves physically getting the damaged vehicles from your location to our headquarters in Airway Heights, Washington. That’s no small feat in itself. If the chassis is still functional and drivable that’s a big start. To keep structural integrity we have them tightly wrapped in heavy-duty marine grade shrink wrap. The wrap is strong and is reinforced with ropes, webbing and ratchet straps. The plastic wrap also seals the van body from the weather preventing further damage. It makes for a very secure and safe way to transport a damaged mobile shredder. Once the vehicle arrives at our facility we quickly set about to get it into better-than-new condition. After a detailed inspection our comprehensive process usually includes a full refurb with a body swap, shredder overhaul and system upgrades. Landing a fully refurbished body on a brand new chassis will give the vehicle many more years of trouble-free operation. We can repair FRP (fiberglass-reinforced plywood) and all-aluminum van bodies including Shredfast’s MasterVault series. Does your policy have Business Interruption Insurance? This type of insurance covers the loss of income that a business suffers after a disaster. Does your policy have Rental Insurance? Will it cover the cost of a rental truck for the duration of the repair? ShredSupply can provide a rental shred truck to cover the time until our repairs are completed. At ShredSupply, recovery from a catastrophic shred truck accident doesn’t have to destroy your business. We want you back on the road servicing your routes as soon as possible. 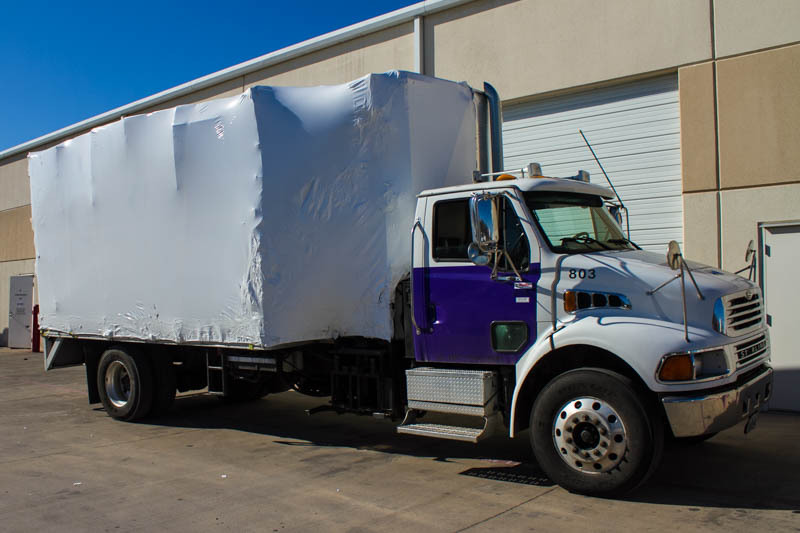 For more information on transporting your damaged shred truck, rentals and our complete line of repair services for damaged shred trucks please call 866-520-8762 or email us at info@shredsupply.com.